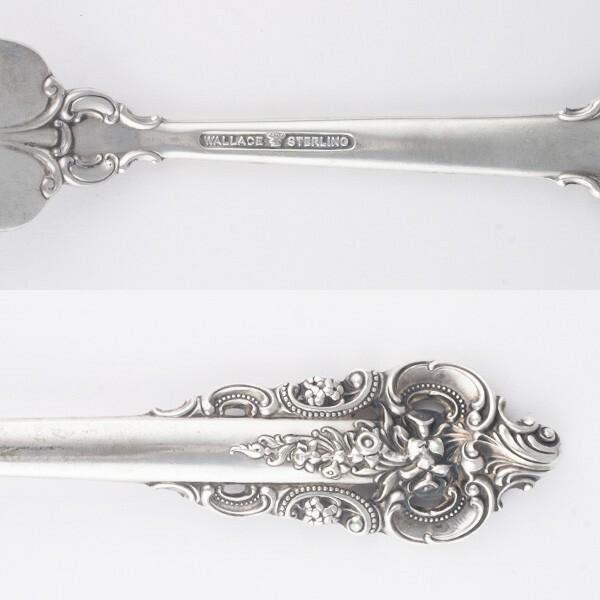 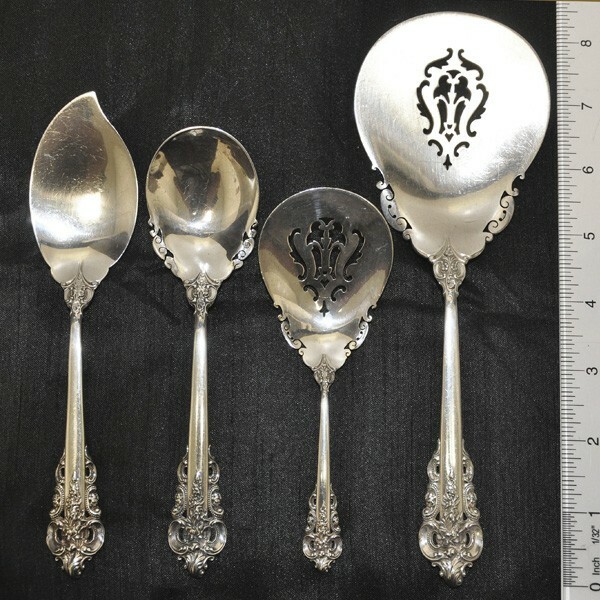 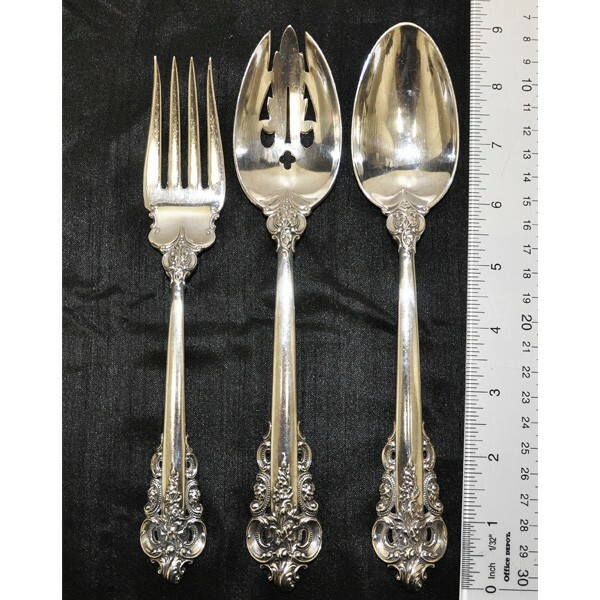 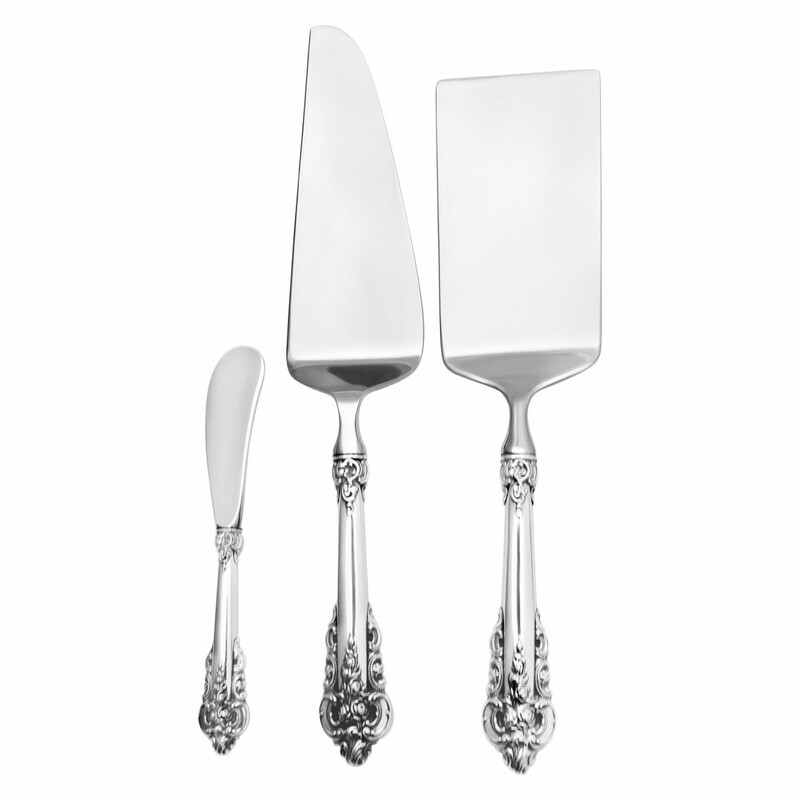 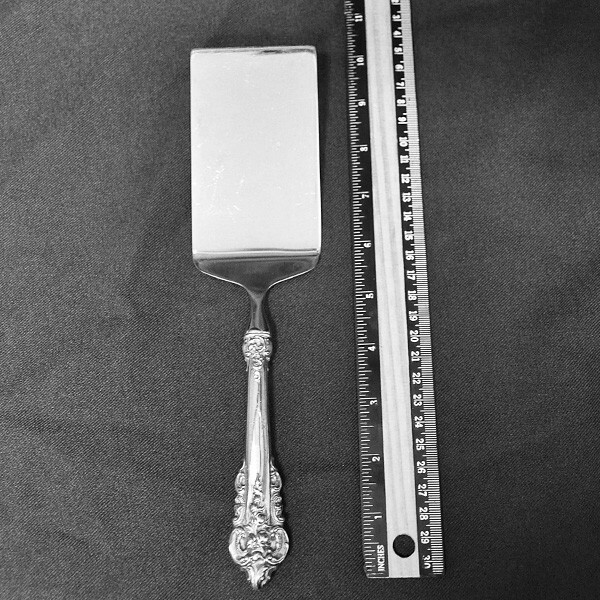 Wallace "Grande Baroque" Sterling Silver Flatwear Set. 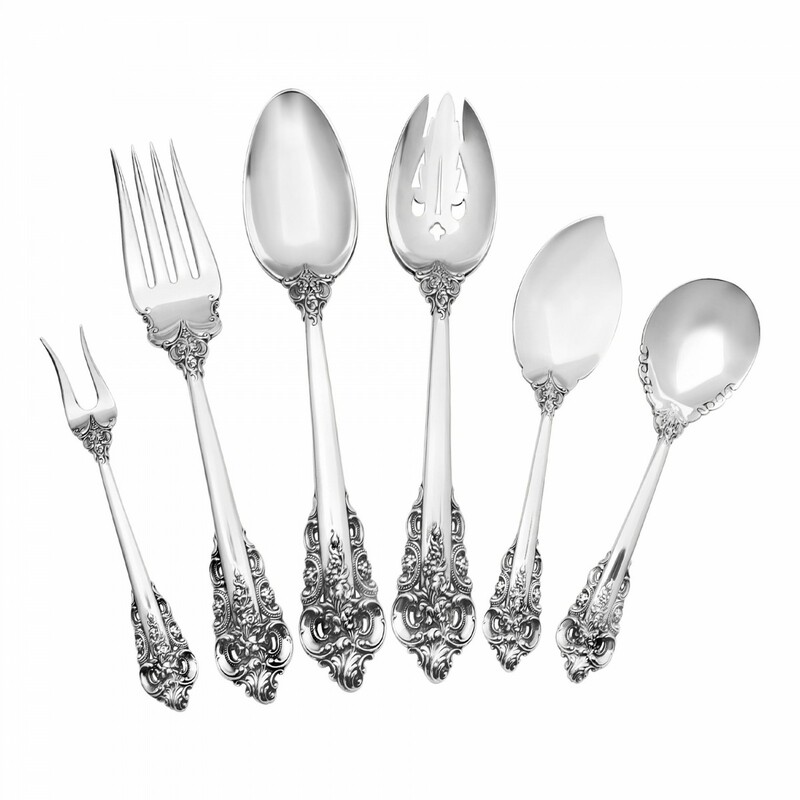 6 pc servicet for 10 - 75 total pcs. 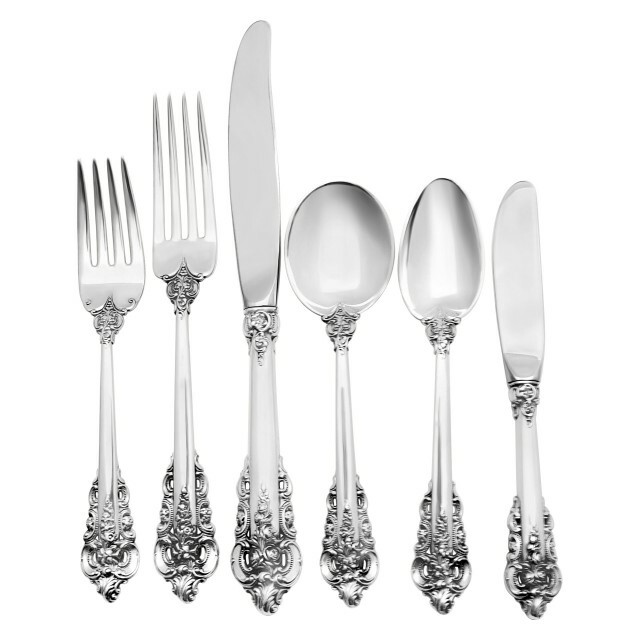 Wallace "Grande Baroque" Sterling Silver Flatwear Set 6 pc place setting for 10 people 75 total pcs.10 butter knives 6 1/4" (stb),10 place knives 9"(stb),10 salad fks 6 5/8",10 place fks 7 1/2",10 place cream soup sp 6 1/8",10 tsp 6 1/4",1 sugar sp 6 1/4",1 pie server11 1/8"(stb),1 meat serv fk 8 1/8",1 slotted serv sp 8 3/4",2 tblsp 8 3/4'',1 bonbon scoop 5 3/8'',1 jelly kn 6 3/4'',1demitasse sp 4 1/4'',1 lemon fk 5 1/2'',1 olive fk 5 3/8'',1 master butter kn 6 1/8'' (stb),1 tomato serv 8 1/4'',1 sugar tong 4 1/2'',1 lasagna serv 10". 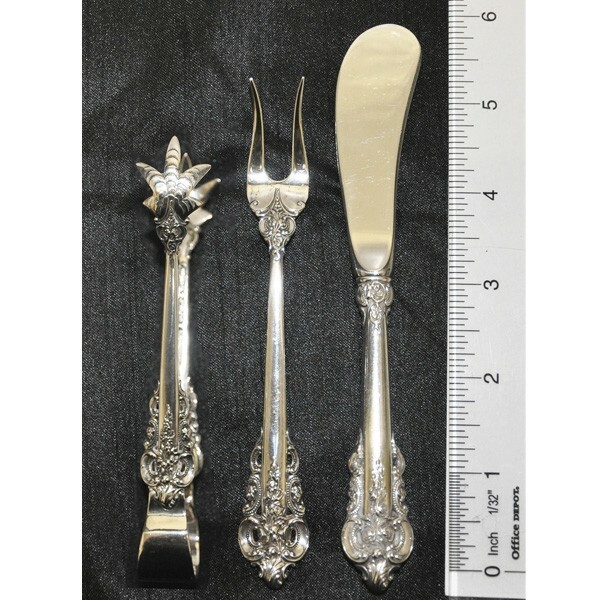 Over 84 oz troy w/o silver/stainless knives & servers.